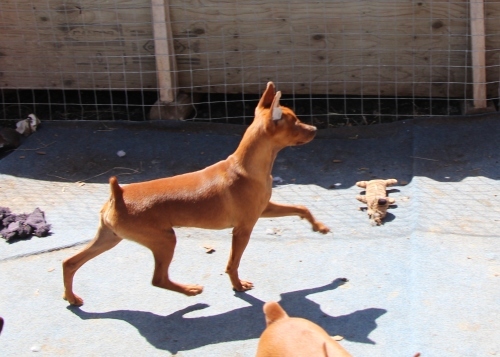 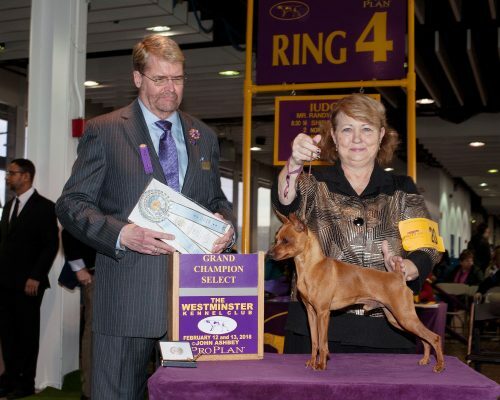 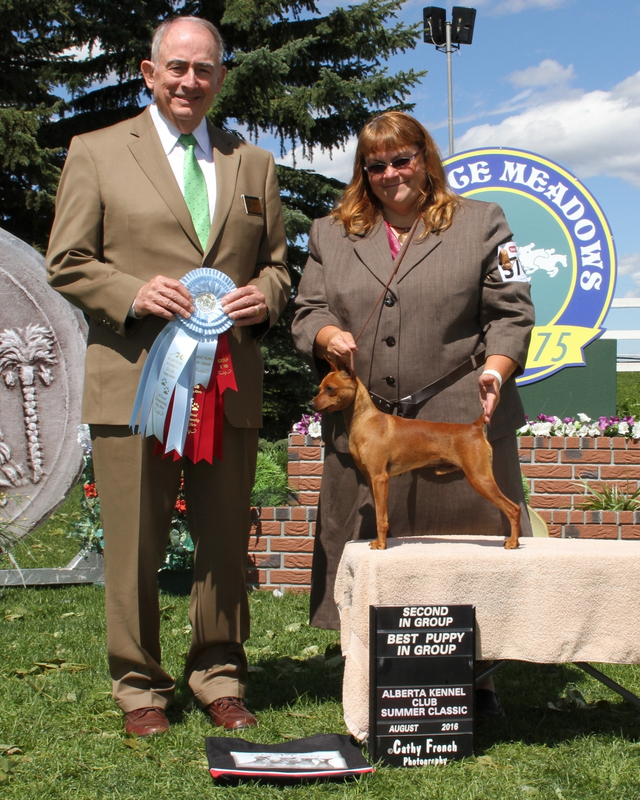 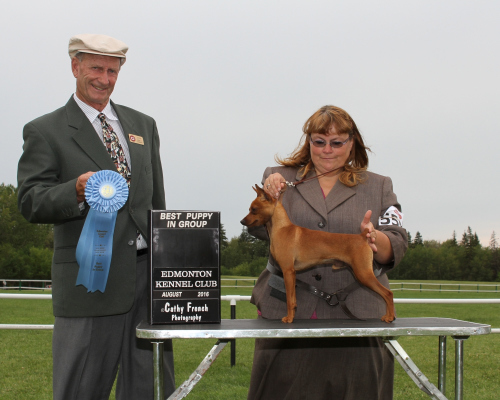 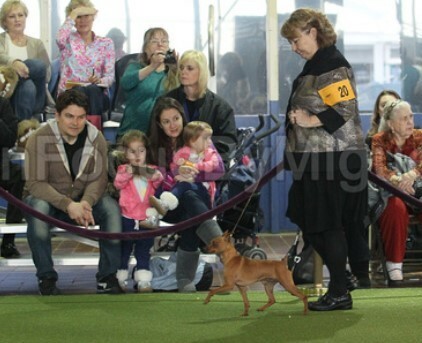 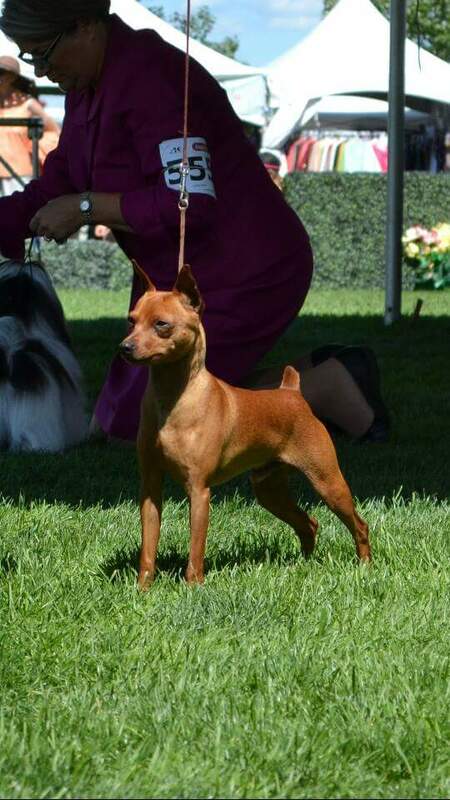 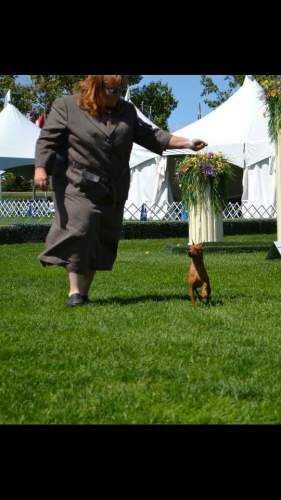 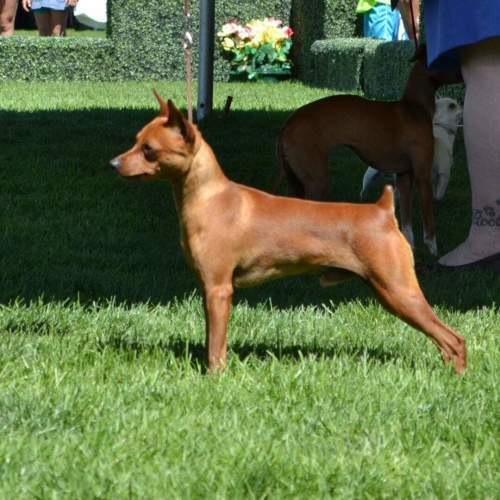 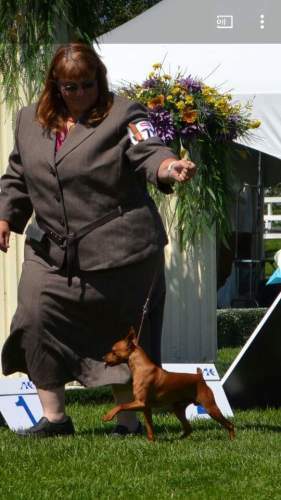 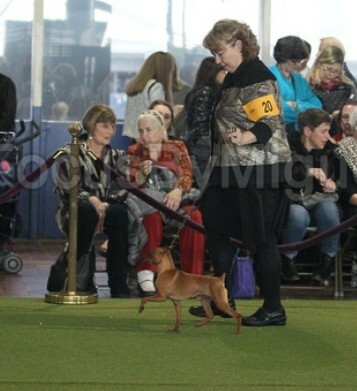 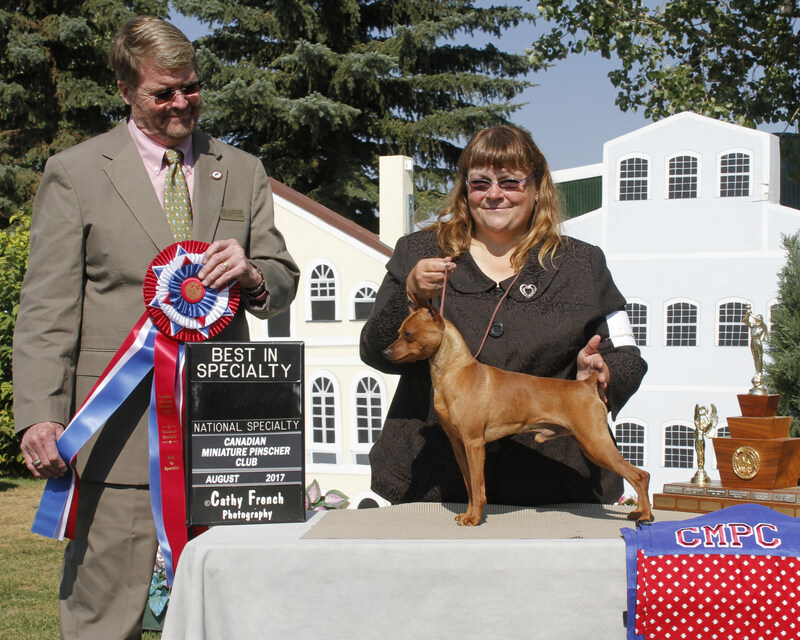 Update: Torch comes out at his first show of the season and wins the Best in Show at the Canadian Min Pin Speciality and less than a month later in the USA, Torch finishes his American Ch in his first three consecutiive shows and two days of showing with three five point majors. Wam bam done 🙂 On his first day as a specials he goes Best of Breed over specials. 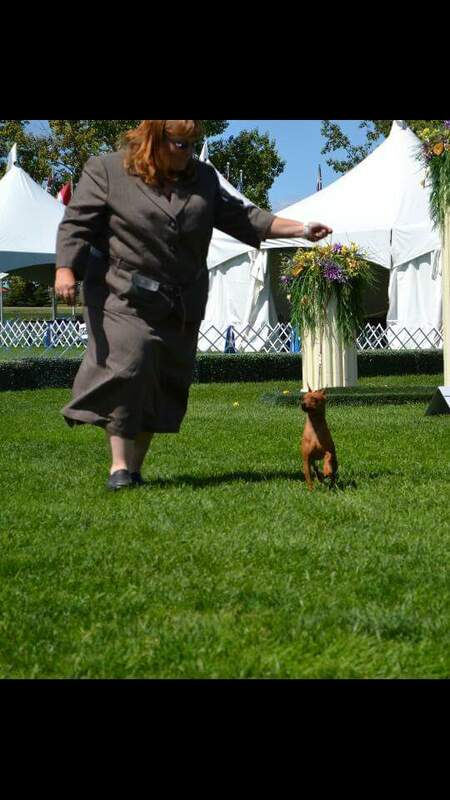 Way to go Torch and Ruth! 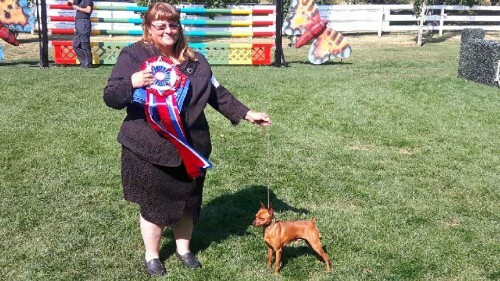 He is now ranked #14! 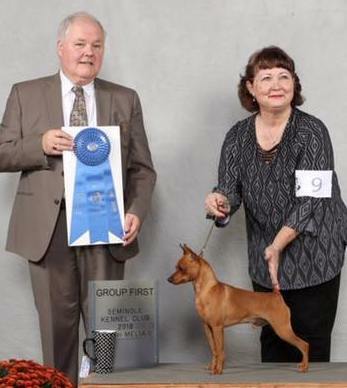 He finished out 2018 in the US top twenty in breed. 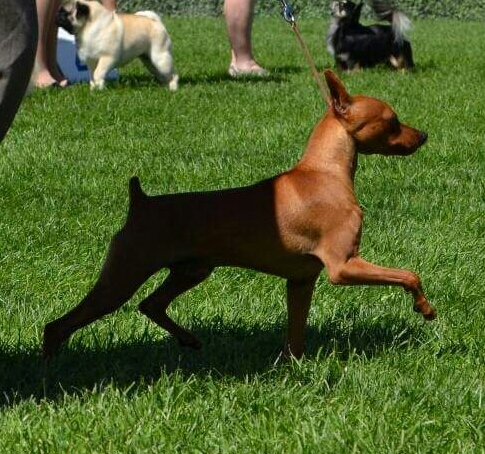 Just Love this boy. He will be coming back in Canada in 2020.